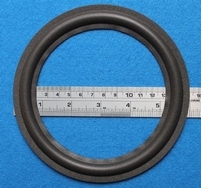 It's possible you have to trim the outer size a bit. Special thin foam ring for Quadral woofers with a 15,5 cm speaker cone. 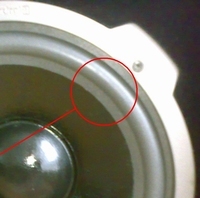 Special thin foam ring for these Quadral woofers with a 15,3 cm speaker cone. 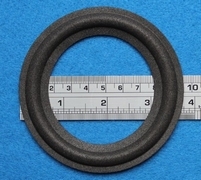 Special flexible foam ring for Quadral Amun woofers, Also for Phonologue. 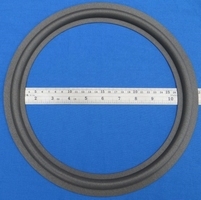 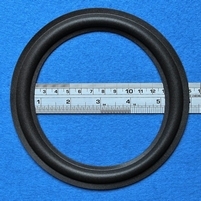 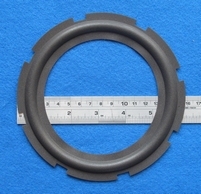 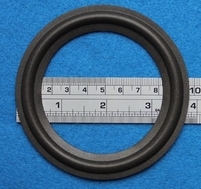 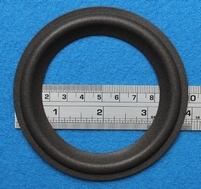 Special flexible foam ring for Quadral mid-toners with a 7,4 cm speaker cone. 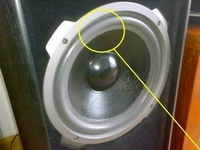 Special thin foam ring for these Quadral woofers with a 12,1 cm speaker cone. 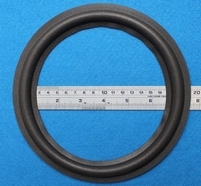 Special flexible foam ring for Quadral Montan woofers with a 19,3 cm speaker cone. 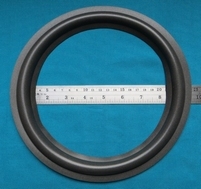 Special flexible foam ring for Quadral Montan woofers with a 19,4 cm speaker cone. Special flexible foam ring for Quadral Quintas 10 inch woofers.